Welcome! As we officially launch the 2016 Threadhead Cultural Foundation Raffle, it is important to review a few procedural matters. First, especially if you are here for the first time, please consult this page to understand how our raffle operates. With only one exception, every item for purchase is actually a ticket to a raffle for the prize shown. The raffle drawing takes place on April 17, 2016. So consult our “How It Works“ page for information on those details. 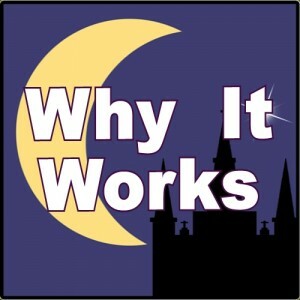 But even it is more important to understand Why it Works, and by that, I am not referring to the technology involved. For nearly ten years, the Threadhead raffle has worked because of the effort of hundreds of volunteers and donors from across the world. Many of these people call themselves “Threadheads” as originally, some of us met each other on the chatboard “threads” of the New Orleans Jazz & Heritage Festival website. In fact, the story of Threadheads is told on several sites devoted to our projects, events and activities. The most important of those sites is for the Threadhead Cultural Foundation. It is through the foundation that all the efforts of our volunteers, our contributors, our sponsors and everyone who buys a ticket on this site are truly put to work. This is a fundraiser site, created by people who were doing crowdsourcing before that term became popular. To date, the Foundation has given grants to fifty-eight artists in seven rounds of Grant funding and was also was itself the recipient of a grant to help produce the musical adaptation of Dan Baum’s book ‘Nine Lives’, a project by Paul Sanchez and Coleman DeKay. There have been many other projects from other Threadhead-created offshoots along the way. A total of over $286,000 has been formally rewarded in our history through grants, donations and special programs. That is why it works, the backbone is a grassroots effort among an online community with tangible accomplishments benefiting the artists and culture which first brought us all together. Then each round of accomplishments inspires another round of volunteer, grassroots efforts at all levels. Anyone is welcome to join us, and you can do that just by purchasing tickets here. At anytime, including after this year’s drawing is completed and all our wonderful prizes have been distributed, you can still help the work of our foundation by contributing tax-free donations at this link (look for the “Donate” button). If you have questions on items please email us at admin@threadheadraffle.com or just stop by our facebook page and ask your questions there. And to learn more about threadheads from threadheads themselves, there are several other facebook groups and sites that we can recommend as well as the forums which served informally as our “town green” and meeting place where so many of our projects first began.